List your business on the SPM Business Directory and get access to a unique and targeted platform of over 7000 moms living in the Deep South of Cape Town – Scarborough, Kommetjie, Imhoff, Ocean View, Masiphumelele, Capri, Noordhoek, Fish Hoek, Simonstown, Glencairn, Clovelly, Muizenberg. Our closed facebook group is for ladies only. This group consists of over 7000 women in the 'deep south'. South Peninsula Moms Facebook Page is for all people and local businesses. As the proverb goes: “It takes a village to raise a child”. First port of call for businesses in the deep south From plumbers to kiddies parties – the SPM Business Directory has it all. Looking for something to do? Look no further than the SPM Events Calendar for all the latest happenings in the deep south. Searching for a Job? Whether you’re looking for that ideal job or the perfect employee, don’t forget to check out the Job Section. We believe in bringing our community closer and helping those less fortune than us. #Moms Who Care is our Giving Back initiative which aims to provides support to local charities. Find a Charity, join our Volunteer Database, Submit a project or become a Sponsor. For sage advice on Parenting, Crafts, DIY, Eating Out, Cooking, Fitness, Reading, and everything else - check out our blog. Keen to contribute? drop us a line with your ideas. Join our mailing list and get the inside scoop. 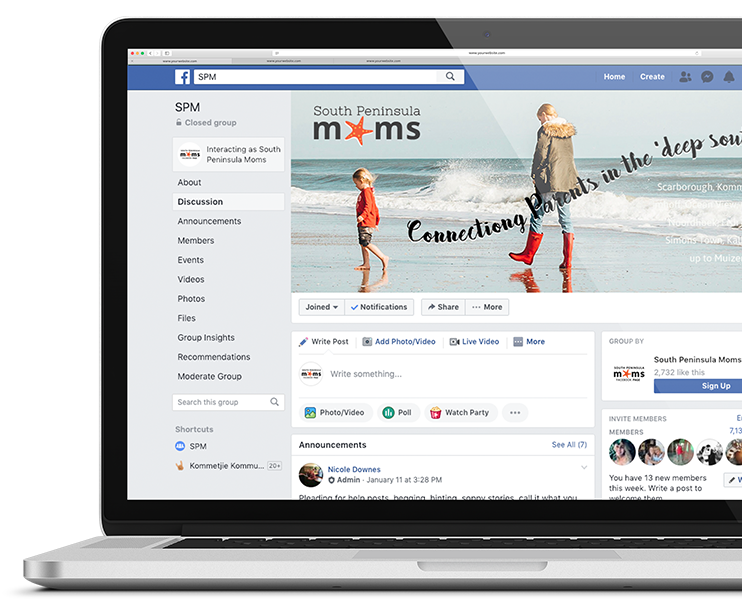 The aim of South Peninsula Moms is to provide a platform to help connect and support our community. #family #lifestyle #community #environment #business.